Islam Around Us: Iraq bombing kills eight: officials. 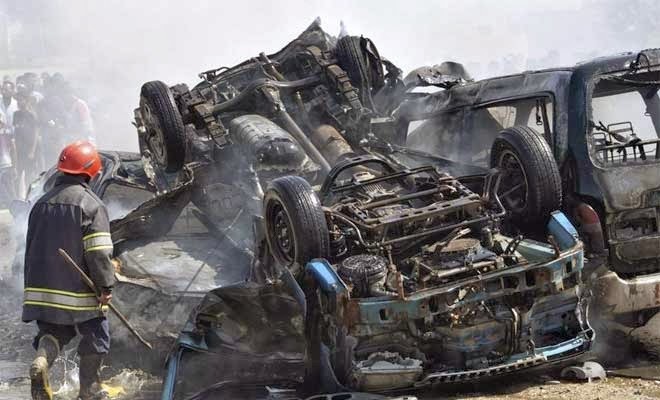 09 Oct 2013 :: A roadside bomb exploded near a truck carrying workers in Iraq on Wednesday, killing eight people, a police officer and a hospital employee said. The blast south of Baghdad also wounded seven, they said. Violence in Iraq has reached a level not seen since 2008, when the country was just emerging from a brutal sectarian conflict. This year's surge in violence has raised fears of a relapse into the kind of intense Sunni-Shiite bloodshed that peaked in 2006-2007 and killed tens of thousands of people. Diplomats and analysts say the Shiite-led government's failure to address the grievances of the Sunni Arab minority - which complains of political exclusion and abuses by security forces - has driven the rise in unrest.